Home / Pottery News / Dragonflies and Humming birds in winter?! Some beautiful new pieces by Clayborn Pottery now deck the halls with bowls of calilies. Nancy Soloman is the rare potter whose hands blends the skills for artful form and painterly graphic design. 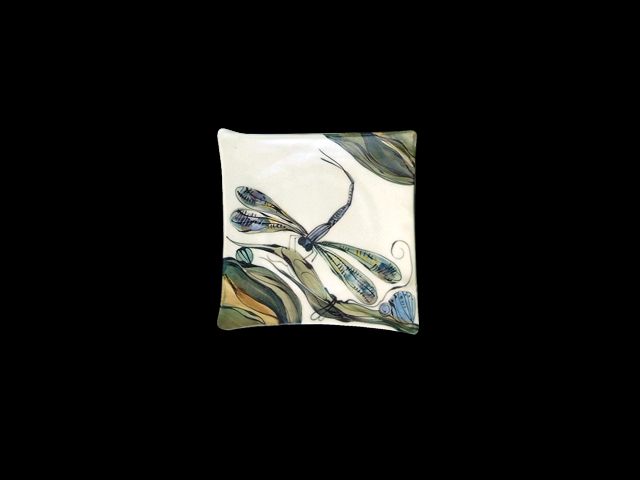 Her designs include dragonflies, humming birds, Cali lilies, heron, and fish. Stop in and take a peak!